How do you make traditional cultural heritage come alive and have relevance in today's world? 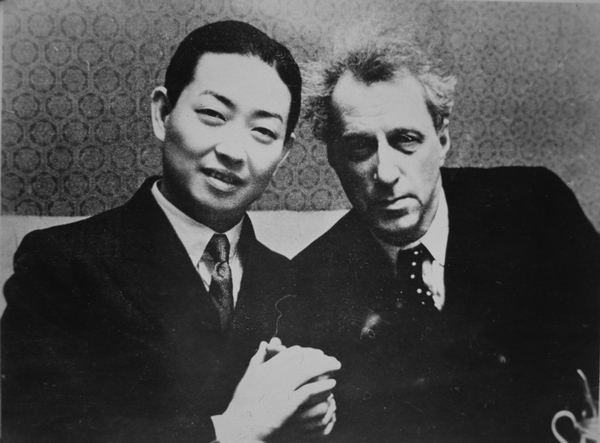 How did Mei Lanfang influence the European theater? Today we learn about these topics and more in a conversation with Stathis Livathinos, artistic director of the National Theater of Greece, a man who always stands at the forefront of the global stage. In February, his bilingual play Agamemnon will open to audiences in Beijing. The work, an extraordinary experiment from the national theaters of China and Greece, will represent the merging of two great theatrical traditions. Livathinos, who has visited China three times, describes each of his journeys to the country with great affection. "My first travel to China was 12 years ago I think, on my way to Xi'an, to see the Terracotta Army and Beijing, which was like a fairy tale for me, very unique," he said. "Then I went to Tibet, which was a journey I will never forget in my life." 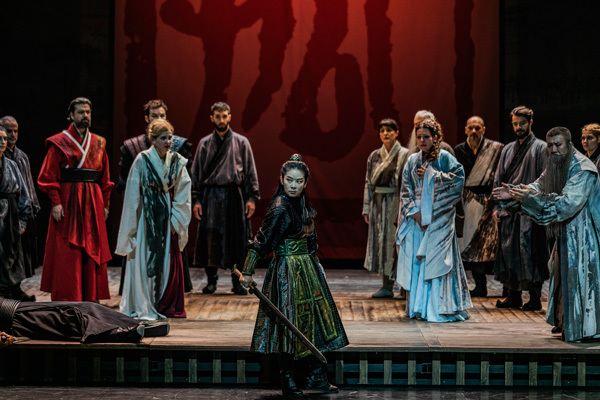 Last year, the first collaborative project between the two national theaters – The Orphan of Zhao, by Chinese director Wang Xiaoying – became a big success in Athens. "I was thrilled by Zhao. It was a great work, a very interesting epic play and a very difficult one," said Livathinos. Following Zhao, the Greek director agreed to bring a Greek play to China. The upcoming production Agamemnon, by ancient Greek tragedian Aeschylus, often described as the father of tragedy, is the first part of his only extant trilogy. Livathinos chose this particular work to present something both Greek and international. "Agamemnon is a part of something bigger that doesn't belong only to Greece. Agamemnon is a part, I think, of the world civilization. It's the same as Bach, like Shakespeare, like Pinter, like Beckett, like Da Vinci. These are the reasons we exist. These are the reasons that keep us human." Using a mostly Chinese cast, to tell a millennia-old tale from the European continent in front of a Chinese audience is more than just daring. And Livathinos is determined to create a distinctive play. "Because it's part of an experiment we agreed on two years ago with the director of the National Theater of China. It will be a kind of theatrical and artistic meeting of civilizations onstage. Of course, this will be a very big risk. But it's better to go with a risk than with safety." Thanks to his theatrical education in Moscow, Livathinos is very familiar with the influence Chinese performing artists have had on theater in the West. "Chinese theater and many actors, especially Mei Lanfang, at the beginning of the (20th) century, influenced the European theater very much, especially Meyerhold. And his relation to Meyerhold gave many important results in the world of the Russian classics and through them, as a big river, to the theater of the whole of Europe." Though he points out the language barrier during cultural exchanges, particularly in theatrical arts, what always matters most is the efforts people make. "As a Chinese proverb goes, 'a big journey starts from one step'. It will take generations for real understanding to happen. But this is a good step and for me a very unique experience."